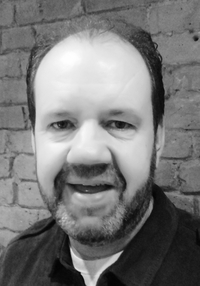 My name is Simon Eve and I have been working in the counselling field since 1999. Following the completion of my training in 2002 I worked in residential treatment for addiction where I specialized in group work facilitation. After gaining an additional qualification in this area I concentrated mainly on this and facilitated a number of therapeutic and psycho-educational groups including a weekly men’s group which I ran consistently for over five years. Towards the end of this period I re-focused on my individual work and achieved BACP accreditation in 2017 after which I started in private practice. I work on an individual basis with those in need of assistance in addressing a range of presenting issues. My approach is client led and relational in nature and given a willingness and ability to engage in discussion I work with clients in order to facilitate their restoration, growth and development. I am happy to work over a brief term period as well as offering longer term work and constantly review client progress on a regular basis. I believe that therapy develops in a way that supports and challenges individuals and meets them at the level of their needs and ability. At the initial session I invite clients discuss their presenting issues and ascertain a range of topics with regards their physical, mental and social health and well-being. Following this assessment a therapy schedule can be then be agreed and the work commence. Any questions or difficulties that arise at any stage of the therapy are reviewed and amendments made to the work where needed.